For everything you ever wanted to know about freshwater fish in Estonia but were afraid to ask - this museum pretty much covers everything from perch to bream. The museum houses 15 indoor tanks filled with swimming creatures and their plant friends. In the warmer months they even have a few outdoor enclosures for their guests to peruse. 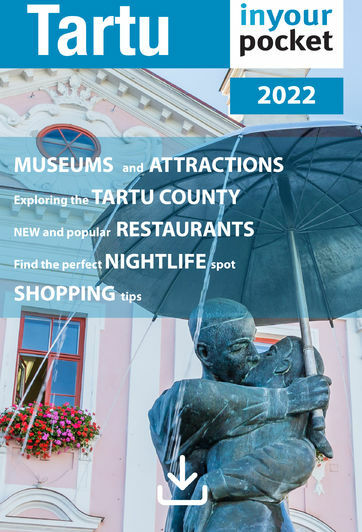 You'll also be able to find a wealth of information and displays about aquatic creatures that live in Estonia now as well as those that have lived here in the past. Open 10:00 - 17:00. Sat 11:00 - 17:00, Closed Sun. In May and June open 10:00 - 18:00, Sat 11:00 - 18:00, closed Sun. In July and August open 10:00 - 18:00, Sat 11:00 - 18:00, Sun 11:00 - 16:00. Admission €7, reduced €5, family €17.